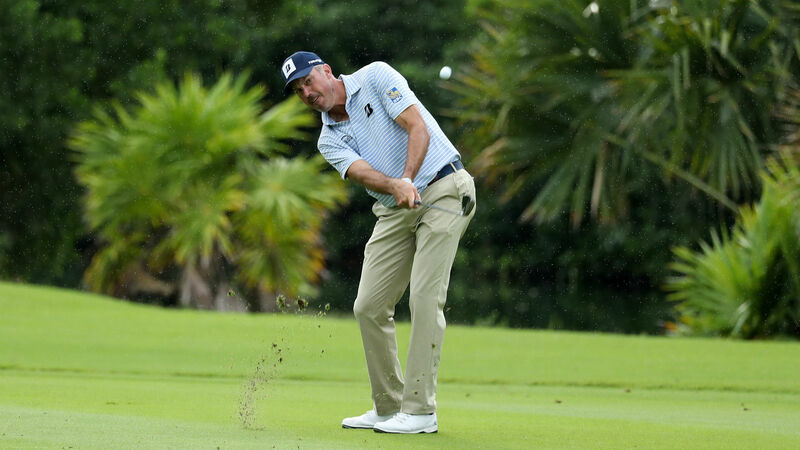 "Yesterday was kind of a bogey-free day and just easy, and everything else today was about the same," Kuchar told PGATour.com. "I just had that one challenging hole." He is only two shots behind Kuchar. Coming off his first PGA Tour victory two weeks ago in the Sanderson Farms Championship in Mississippi, Champ conceded the course doesn't fit his long-hitting style, but he was pleased to have good control Friday. "It's not a bomber's course," he said. "Just to be able to place my ball right in the fairways and on the greens and make the putts when I needed is great." There's a logjam of golfers right behind Champ, with seven players tied for third, four strokes off the lead at 11-under, and four more golfers at 10-under.